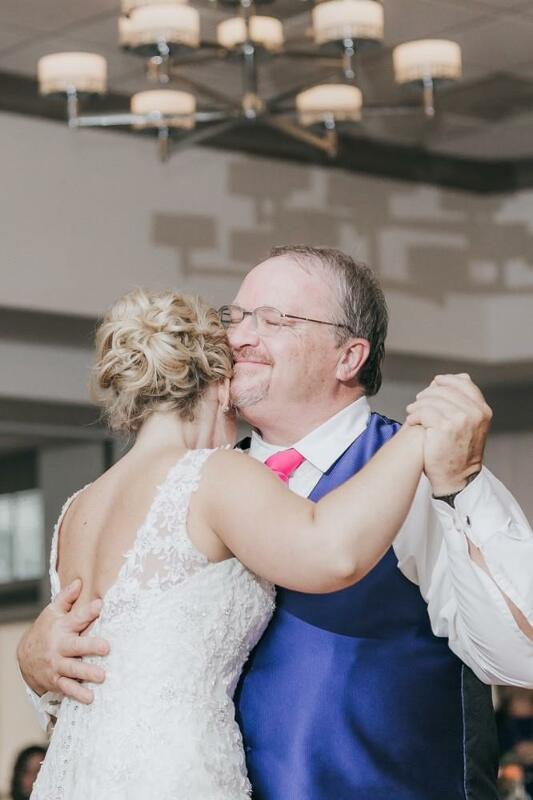 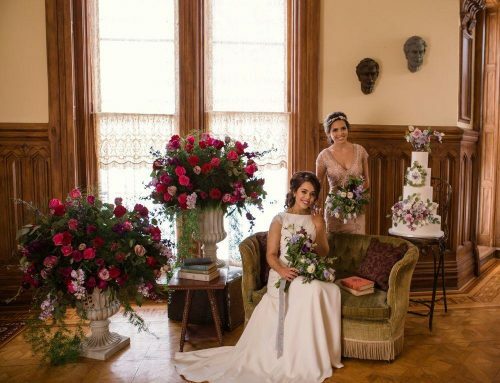 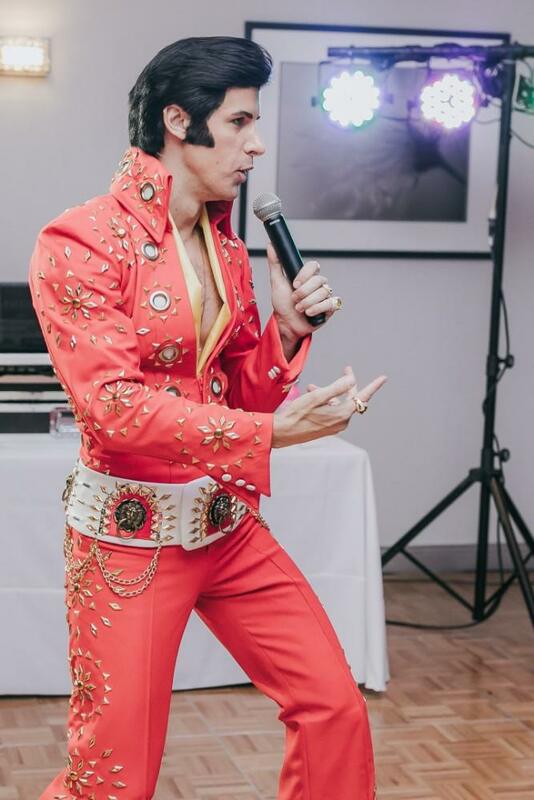 Understated elegance and fun, personal touches highlighted Lindsey & Mike’s lovely Big Day at Rolling Green Country Club, while a surprise guest singer had guests tearing up the dance floor! 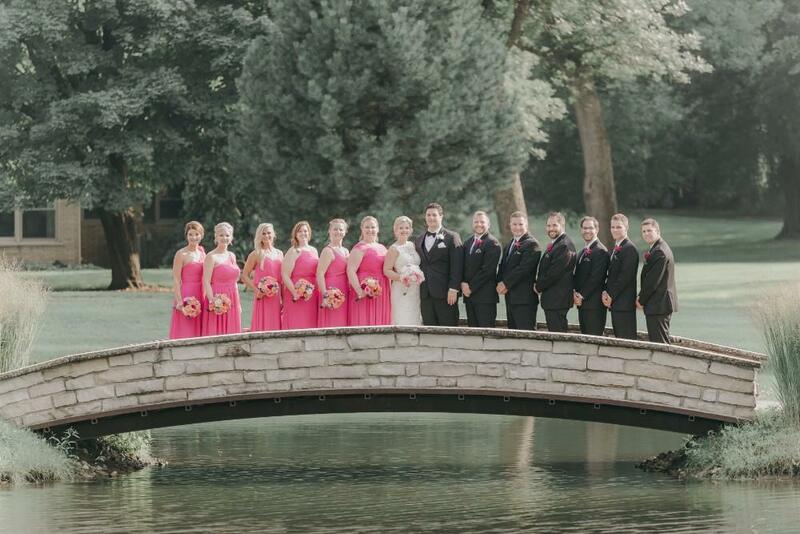 All photos by Erik Anderson Photography. 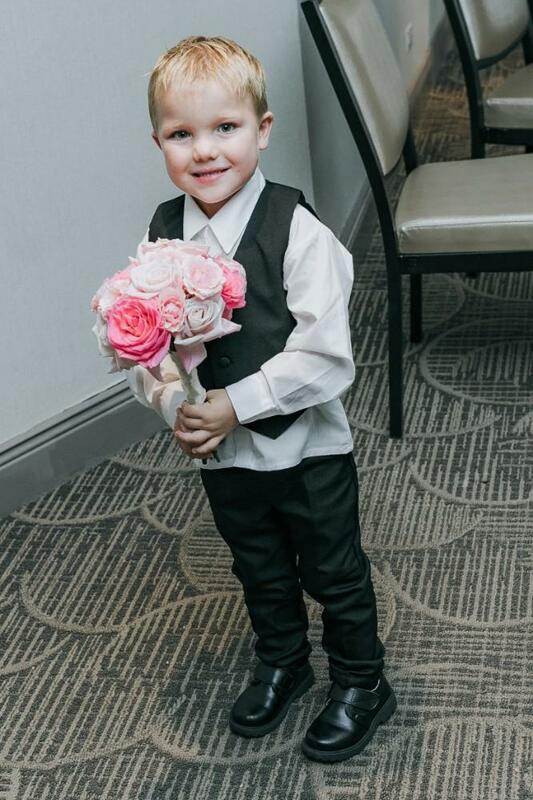 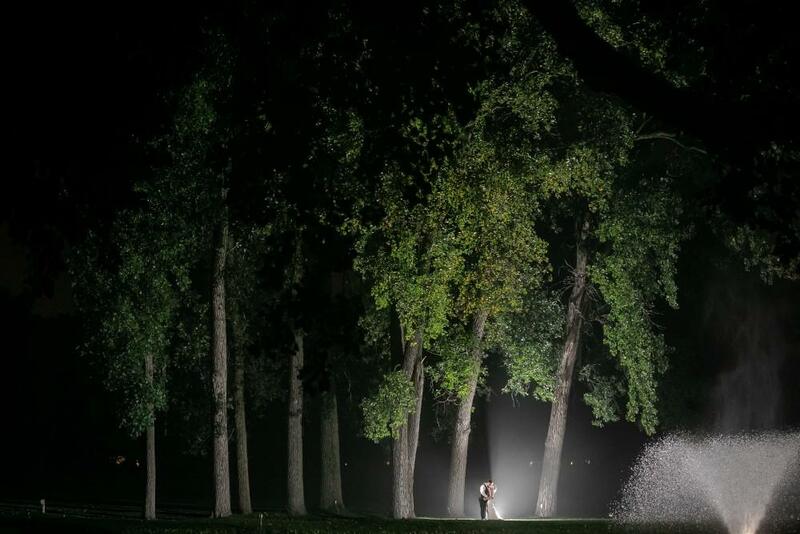 There’s nothing better than a love story that begins at a wedding. 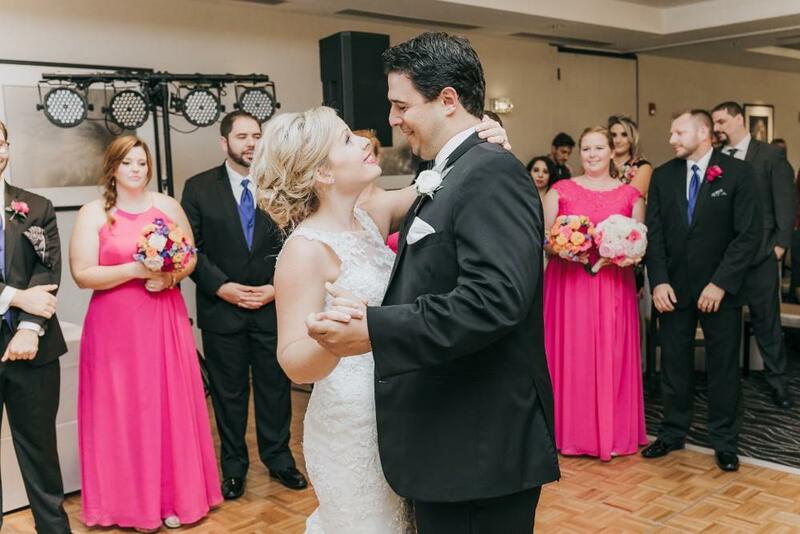 Maid of honor, Lindsey, and best man, Mike, met when they lined up at the rehearsal for the wedding of Lindsey’s sister and Mike’s best friend. 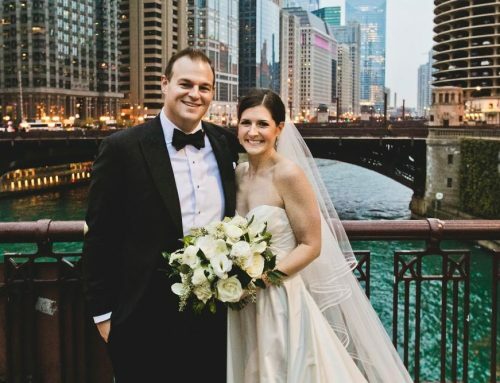 They felt a connection Lindsey described as “an unexplainable feeling, magical almost.” Lindsey is from Tennessee, so the spark they felt became a long-distance relationship. 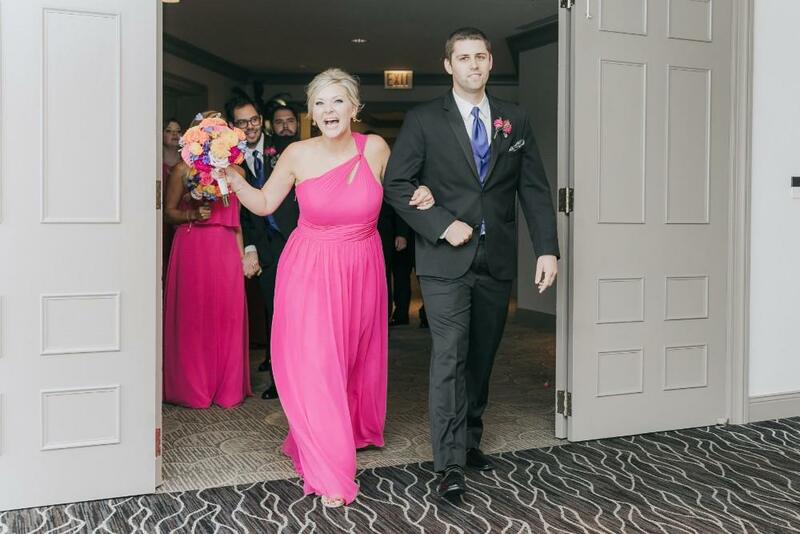 Once things were pretty serious, Lindsey decided to make the move to Chicago. 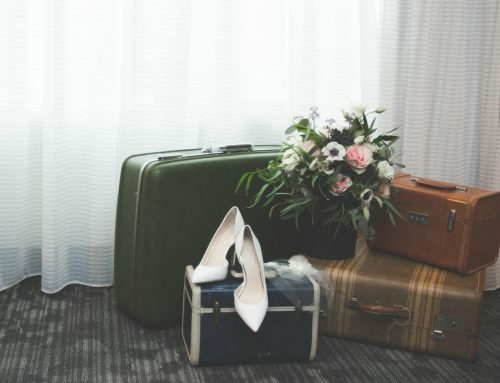 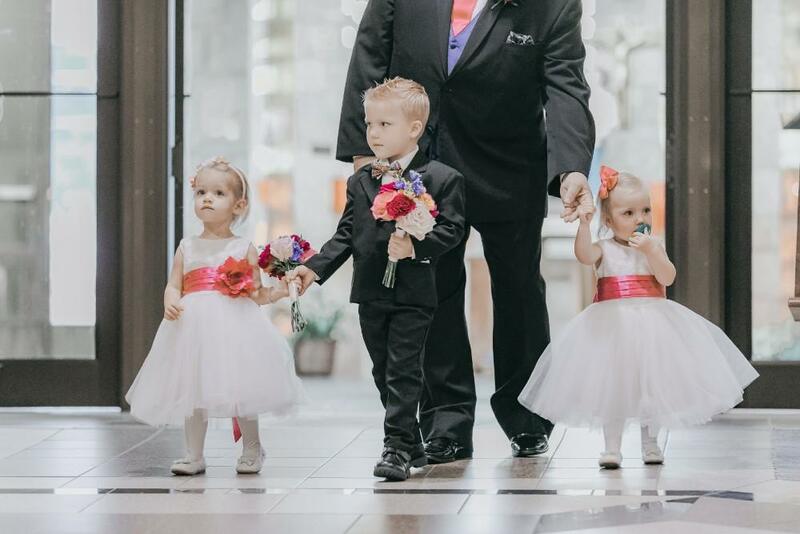 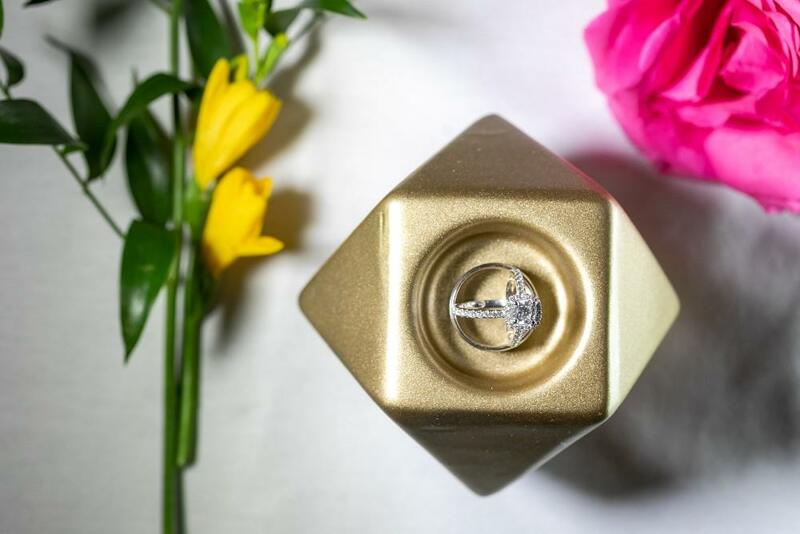 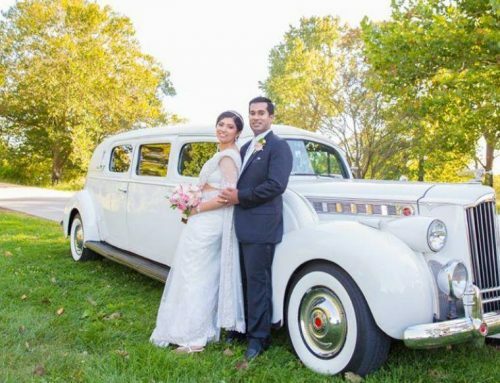 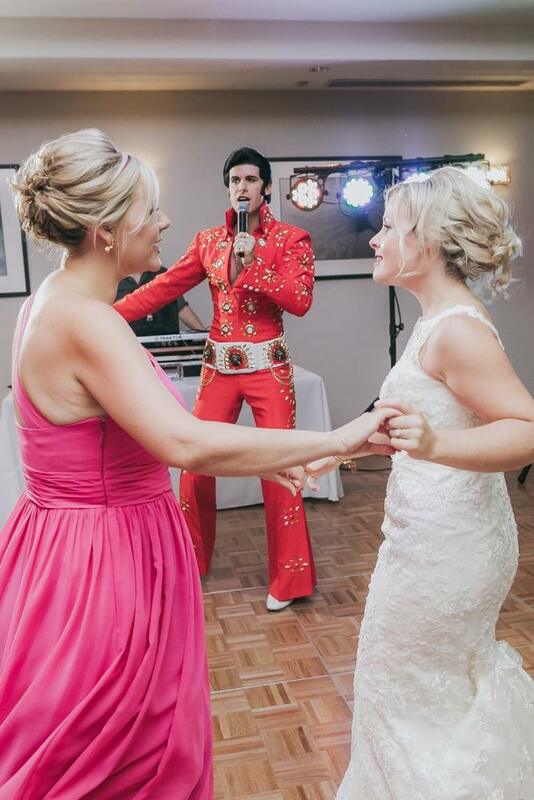 The couple decided to have their wedding in the place they would call home, though Lindsey gave some serious thought to eloping in Las Vegas in order to be married by her favorite singer, Elvis. 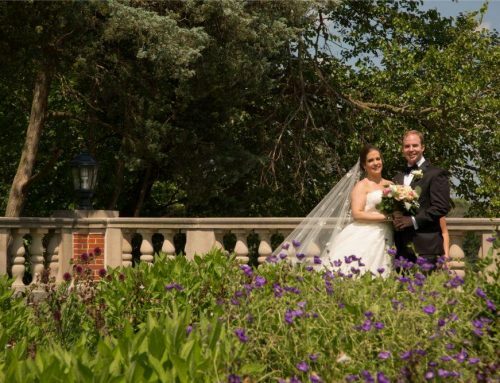 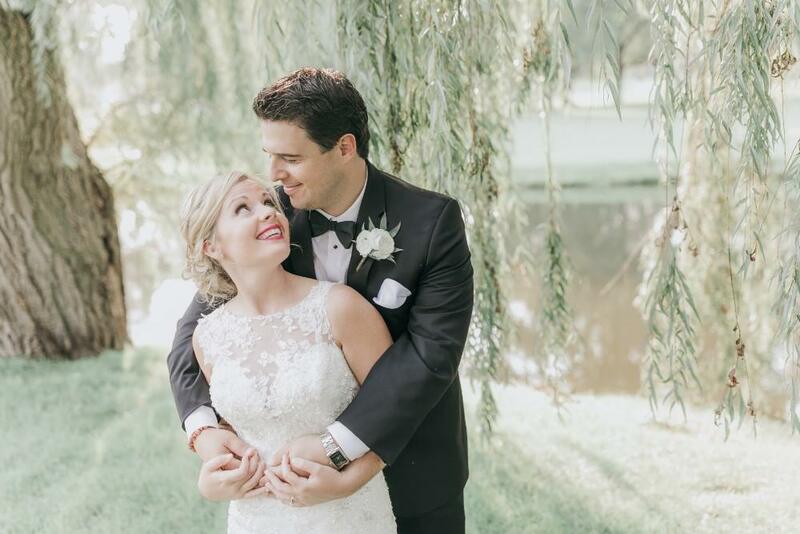 Lindsey and Mike wanted their wedding to feel simple, elegant, and fun. 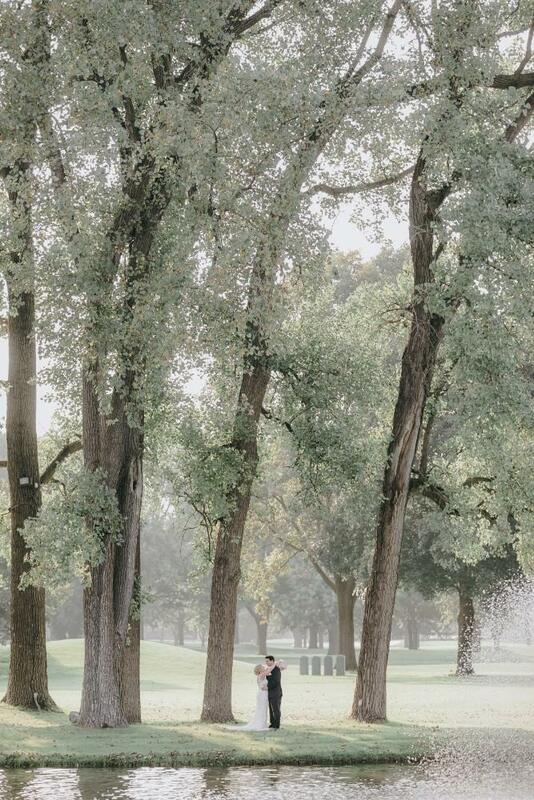 They also wanted to make sure they never lost focus on their love for each other and the commitment of the day. 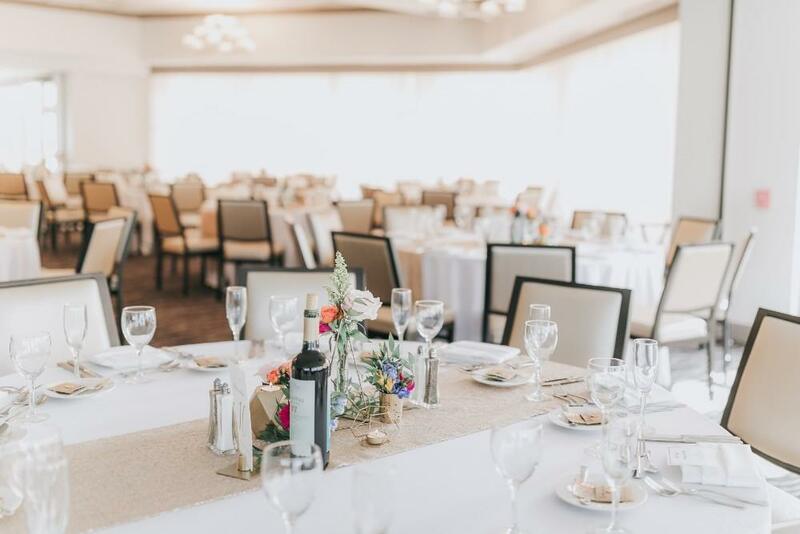 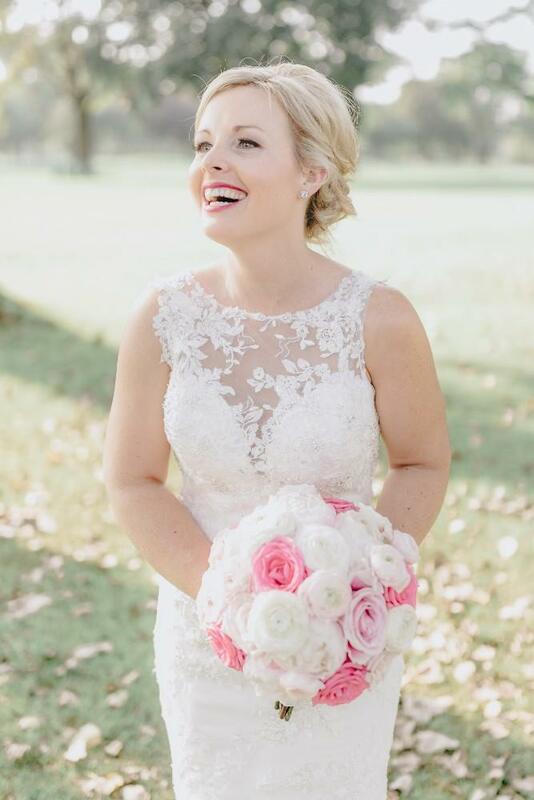 Lindsey made sure to enjoy the morning of their wedding day having brunch and getting hair and makeup done with her closest friends and family in the bridal suite at their hotel. 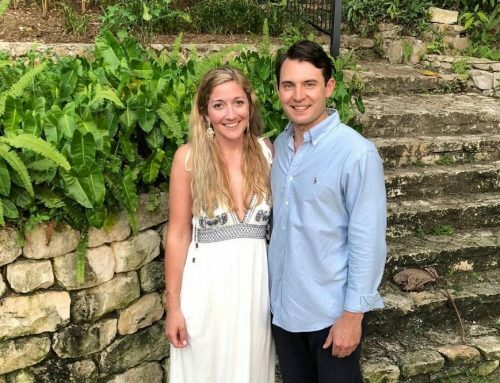 While the girls were brunching and prepping at the hotel, Mike and his friends were enjoying a meal and grooming at his mom’s house. 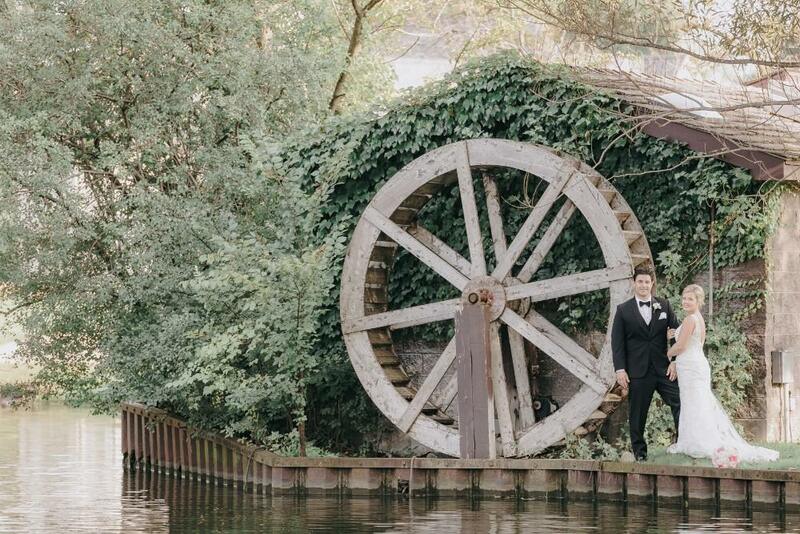 They both cherished the time with the people who had supported them throughout the growth of their relationship. 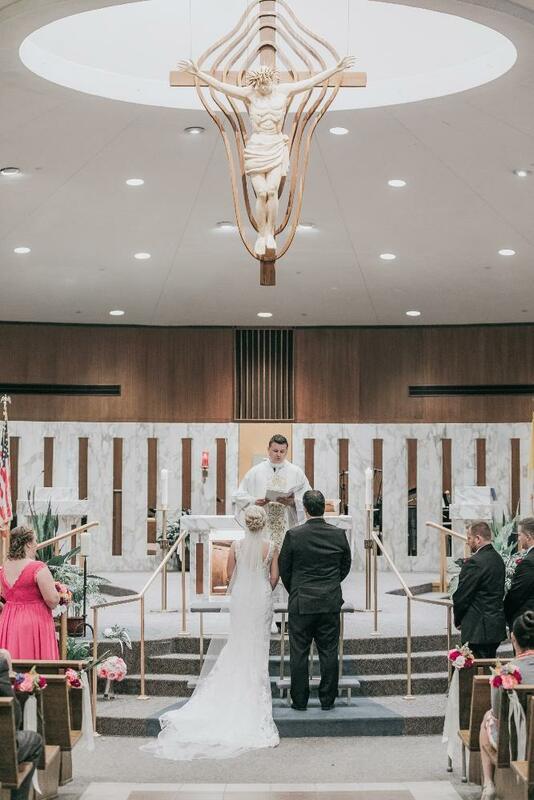 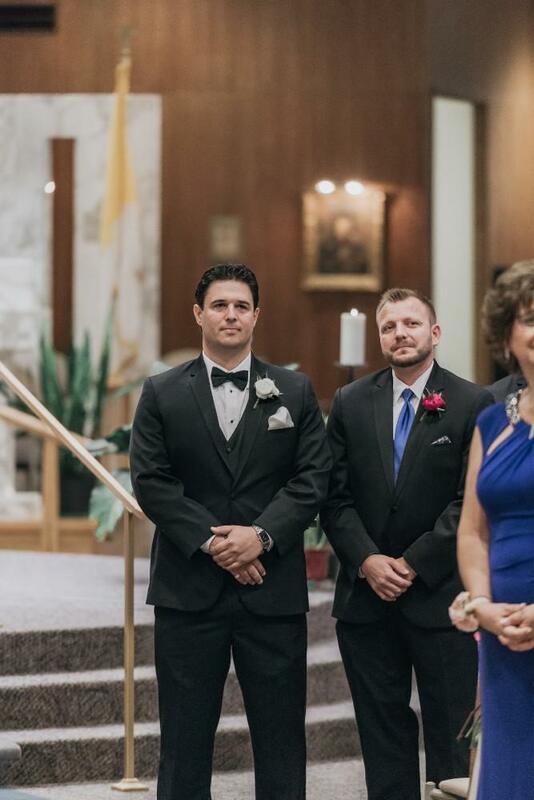 The couple said “I do” in a lovely church ceremony. 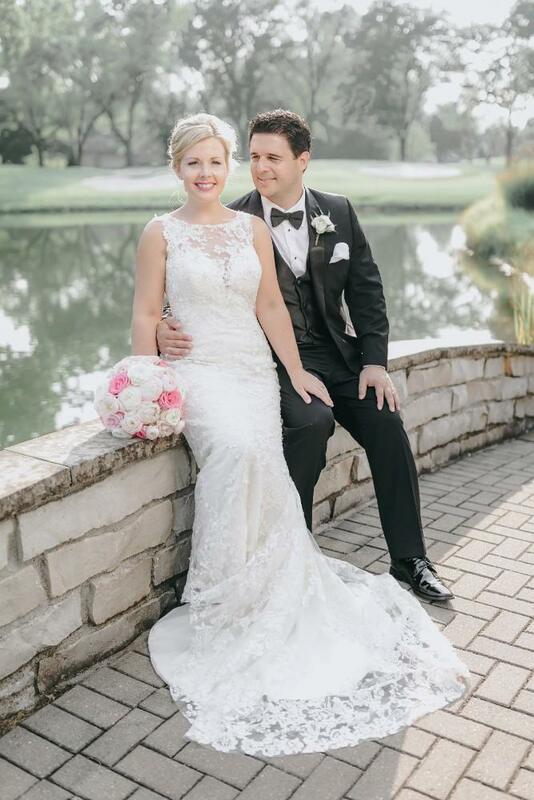 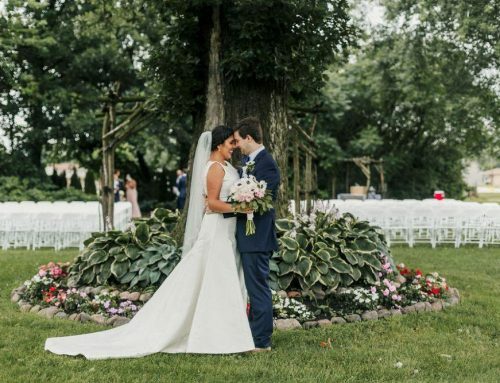 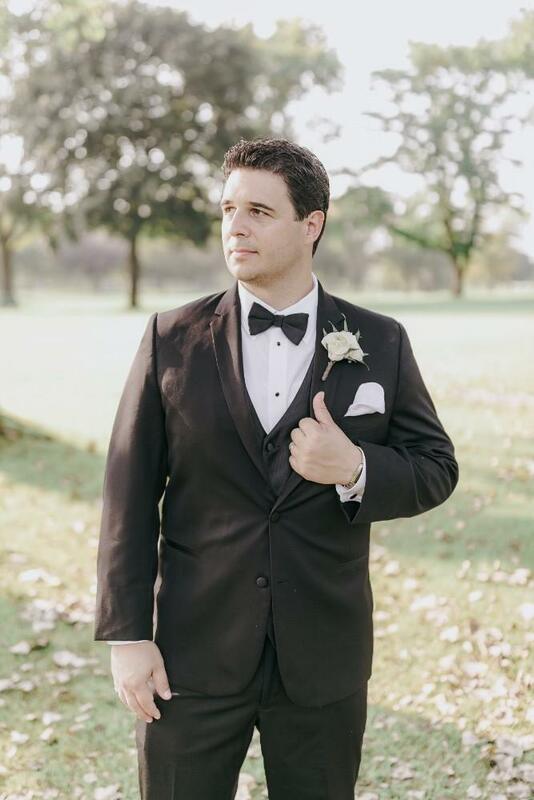 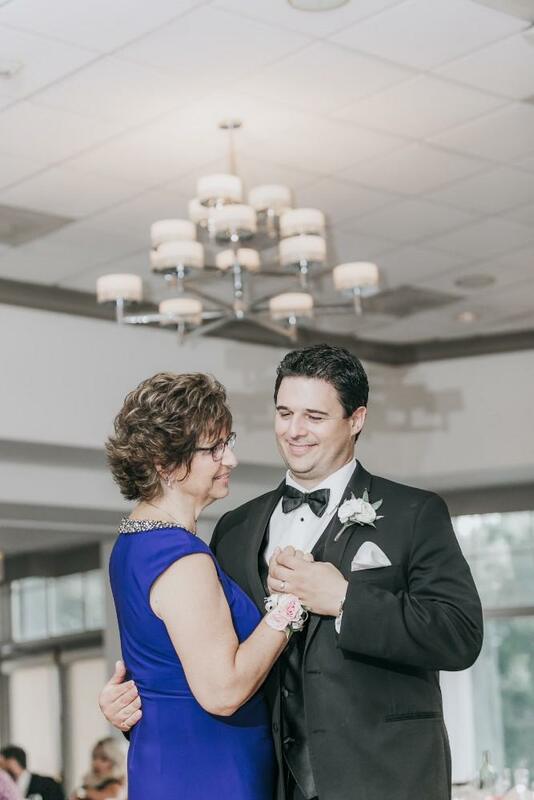 Afterward, they traveled to Rolling Green Country Club for a wedding reception that celebrated a fusion of Lindsey’s Southern roots and Mike’s Midwestern traditions. 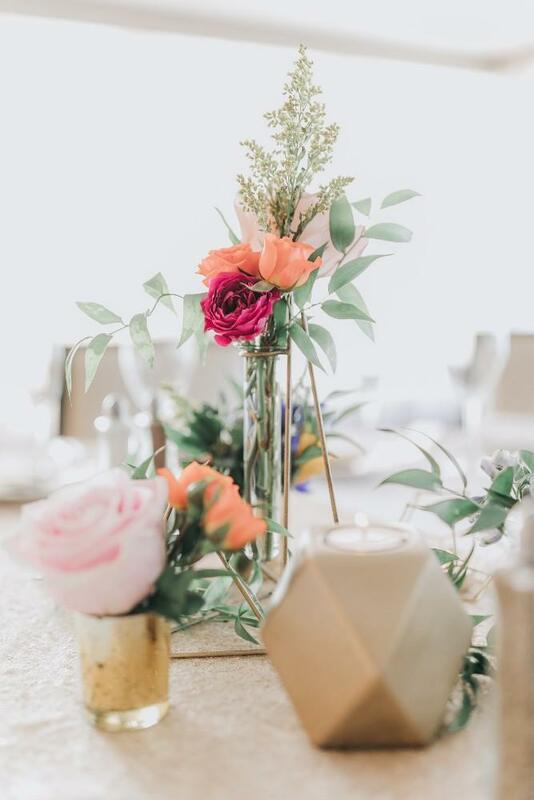 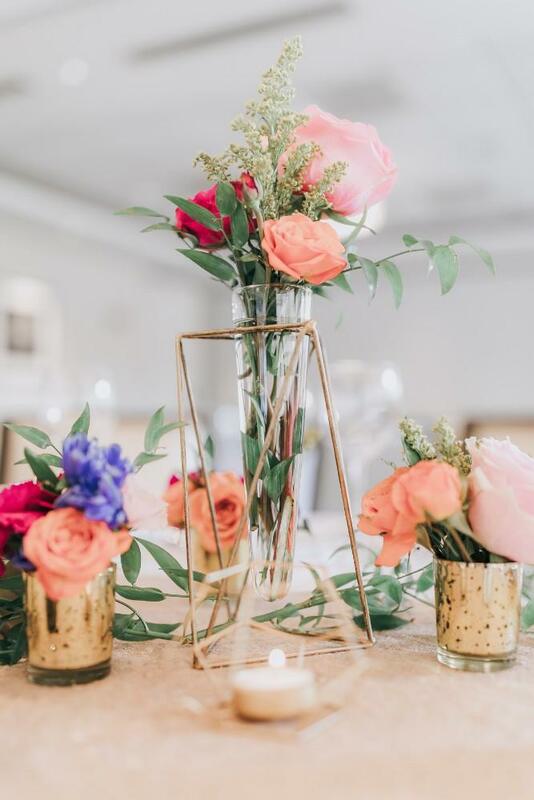 They kept the décor neutral and elegant with matte sequin linens and added pops of vibrant colors with their flowers and gold centerpieces. 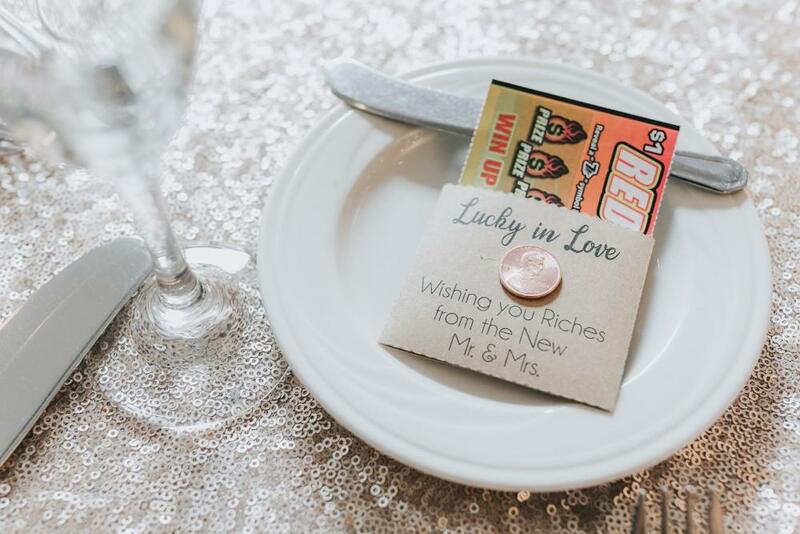 The pair gave every guest a lottery ticket in an envelope with “Lucky in Love” inscribed and a penny to complete the scratch-off tickets for a fun and unique favor. 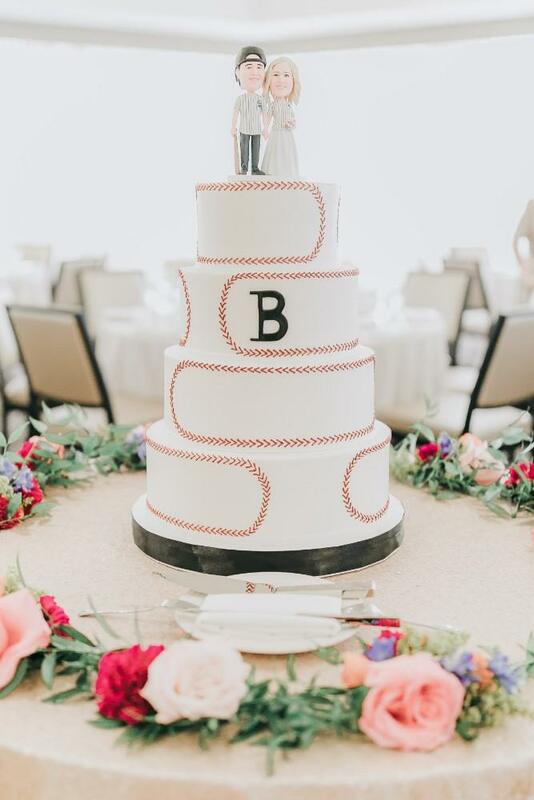 They celebrated Mike’s love for the White Sox with a baseball themed cake featuring a customized bobblehead cake topper and offered guests a delicious ice cream sundae bar as well. 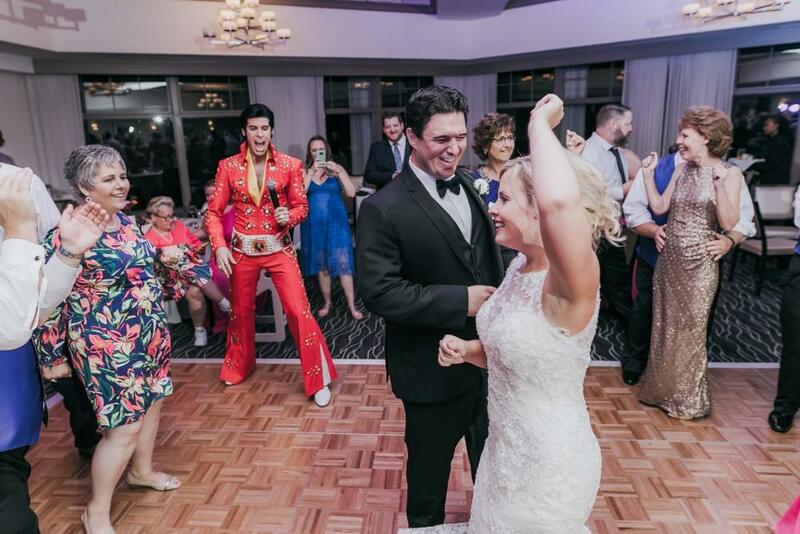 One of the most exciting moments of the Big Day was when Lindsey was surprised by a fabulous Elvis impersonator who serenaded everyone! 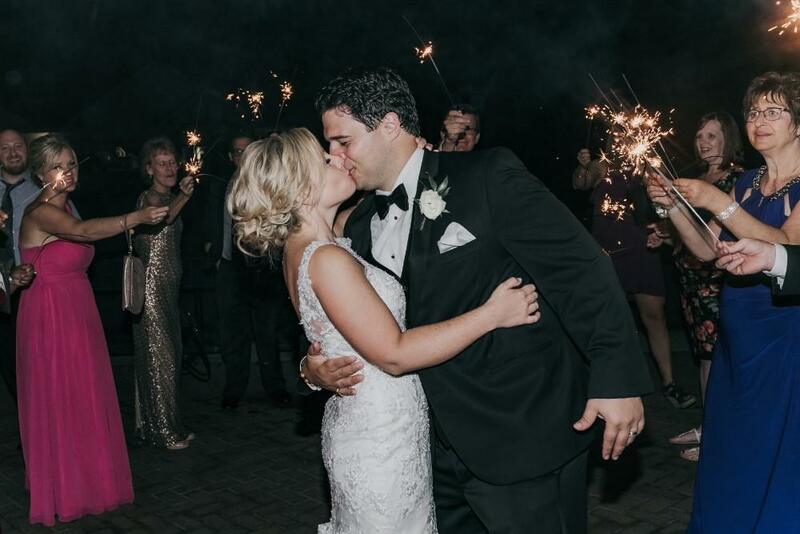 Reflecting on their wedding day, Lindsey and Mike agreed, “Our favorite moments were the small ones, when it was just us and we got to be in our own little world.” They especially loved eating a slice of cake together at the end of the reception, alone in the room while all the guests prepared their sparklers for the couple’s big exit. 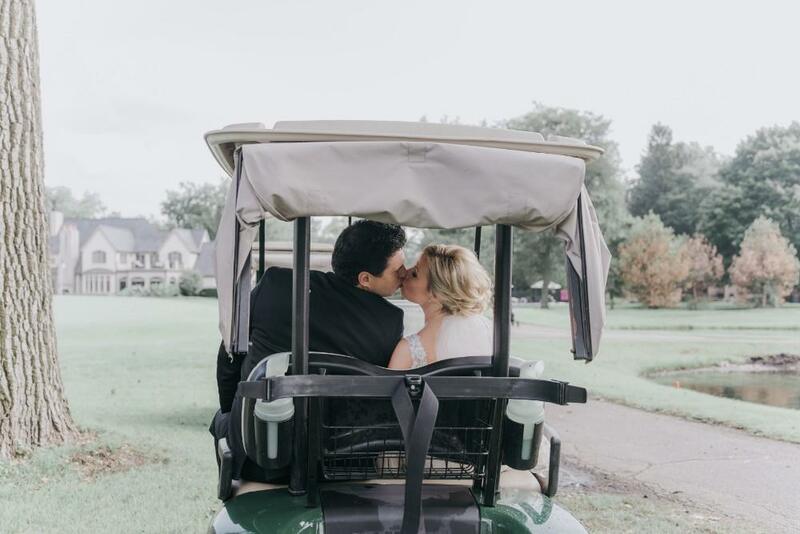 Other highlights of the day included driving around in their own golf cart for photos and enjoying their dinner together at a sweetheart’s table. 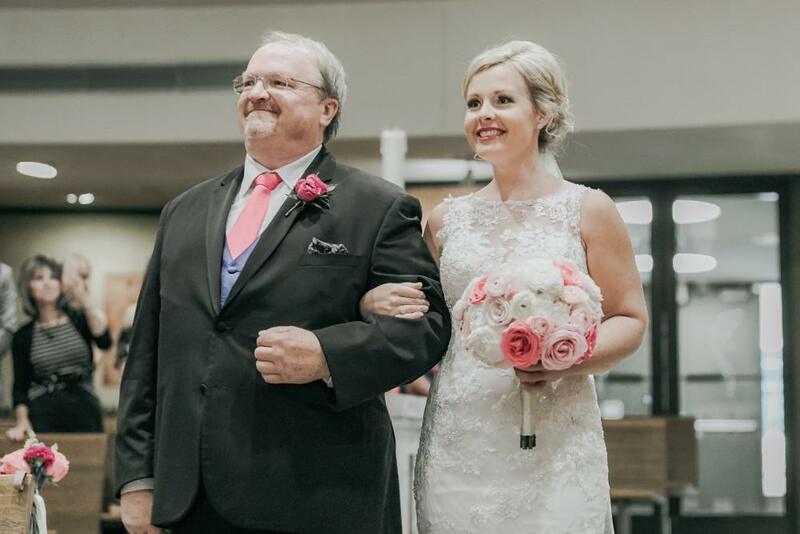 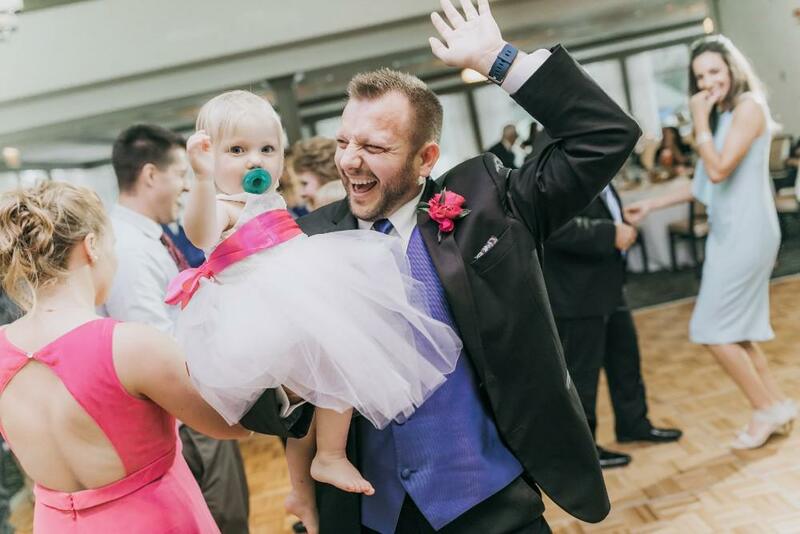 In the whirlwind excitement of their wedding day, Lindsey and Mike were grateful for those moments when they could remember the true reason for the celebration.